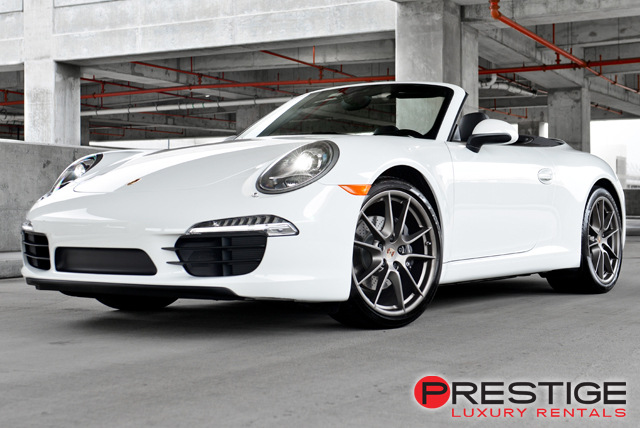 The Porsche 911 Carrera is a vehicle which holds a special place in the heart of sports car enthusiasts the world over. With a design that has been incrementally improved over the course of three decades yet which still bears the original DNA which has made it so successful, the Porsche 911 Carrera is truly a unique personality in the world of exotic car rental. So few sports cars have managed to maintain the same level of authentic effortless performance combined with modern technological advances and a relentless pursuit of excellence. The Porsche 911 Carrera is powered by a 6-cylinder engine that is mounted in the rear of the vehicle in order to improve weight distribution and help make the 911 a blast to throw through the corners. The coupe can be had with either a six speed manual transmission or a seven speed dual clutch automatic that can be shifted via controls mounted on the steering wheel. Either way, the 911 Carrera is frighteningly quick, reeling off a 0 to 60 miles per hour time of under 5 seconds. Inside the car, accommodations are comfortable and in keeping with the Porsche’s sporting nature. 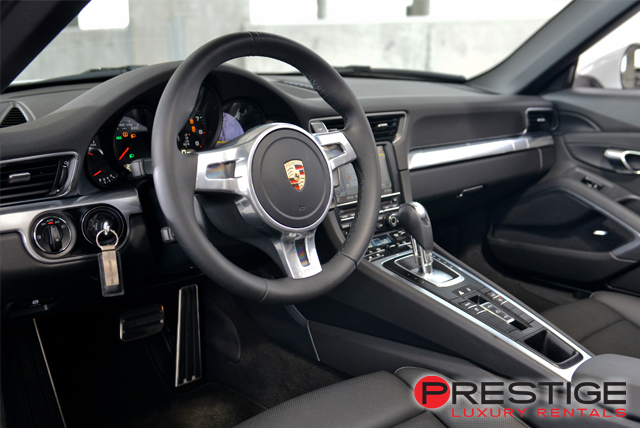 Handsome gauges and seats that help keep driver and passenger safely planted during high speed maneuvers make it easy to see why the Porsche 911 Carrera is a favorite in luxury car rental. The car fits around its occupants like a custom made cocoon of steel and speed. This is a vehicle that cuts such a familiar figure that it has become indisputably associated with the racing spirit that Porsche has invested in each of their sports cars. Driving a Porsche 911 Carrera rental Atlanta is a reminder that there are still companies in this world who are focused on providing a pure, visceral experience behind the wheel.